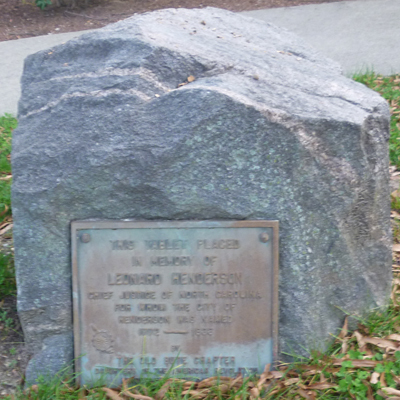 Source: Leonard Henderson Marker, Henderson. Courtesy of the project staff. 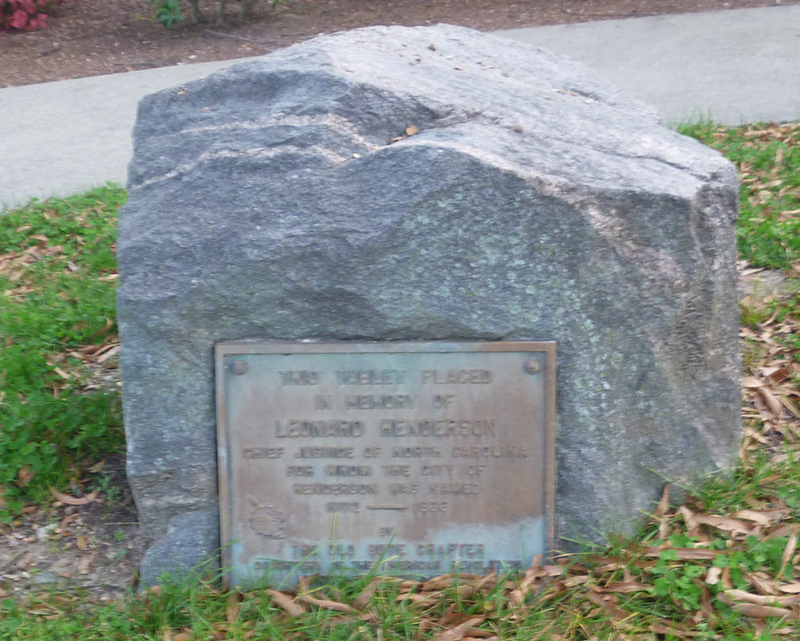 Sponsored by the Old Bute Chapter, Daughters of the American Revolution in Henderson, the marker is a bronze plaque mounted on a small, natural boulder. Leonard Henderson was chief justice of the North Carolina Supreme Court, sitting on the first session of the court which formed in 1818 when the North Carolina court system underwent change. He was a prominent lawyer and jurist, was elected to the North Carolina Council of State in 1802, and held a number of judicial appointments prior to being appointed to the Supreme Court. Henderson was born in the Nutbush community of Granville County, and the city of Henderson was named in his honor. The boulder sits in front of the Vance County courthouse, on the south side of the entrance.